Though the Social Security administration defines retirement age as 65, the point at which people choose to retire differs greatly. Retirement no longer means whiling away the hours on the golf course or cuddling cute grandbabies. Many retirees continue to work second and perhaps even third careers. It’s one thing to enjoy a part-time position in a field you enjoy; it’s completely another thing to have to work because your military retirement portfolio simply won’t pay the bills. What about you? Will you need a second career? Depending on your current age, you may need to consider padding your savings if you're counting on Social Security as a portion of your portfolio. There are many other factors to consider when determining whether your savings will fund your retirement. First, a military pension can provide a potentially large stream of income to support your retirement lifestyle. 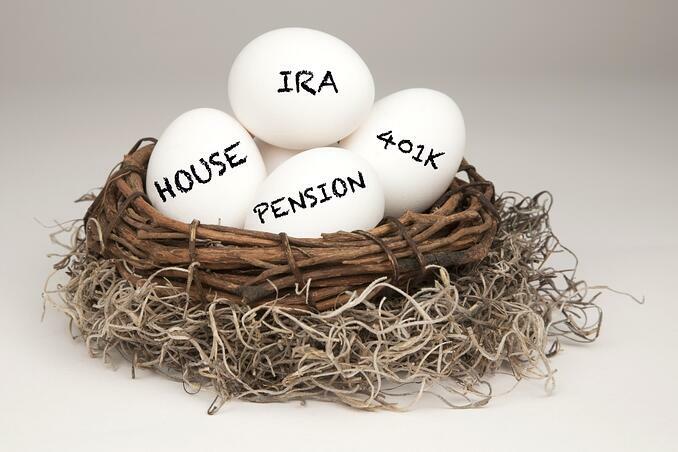 Second, and probably most important, is your monthly expenses in retirement. If you're still paying for a mortgage or have additional debts, such as credit cards, car loans, student loans, or line of credit on your house (a popular financial tool just prior to the recession), then your expenses may necessitate more than what your savings and pension can provide. Considering finding ways to cut some of these expenses, such as downsizing your home, selling an expensive car, or cutting additional unessentials such as cable can all help to reduce your need to work during retirement. Before you consider downsizing, though, read our recent article on downsizing before retirement. You may find that downsizing isn’t the best way for your military family to save. A second career doesn’t have to mean a traditional job, though. I've spoken with a number of military families who have successfully made real estate their second careers. They've set up property management companies, become real estate agents, flipped houses, and even purchased multiple small homes or condos to operate as rental units. So, if you’ve calculated that your savings don’t quite meet your goals for your retirement, you still have options to help make sure that you can finance your retirement. If you have additional tips on how to prepare for retirement that you’d like to share with other military families, please make sure to include them in the comments below!